← Why is my Dog So Camera Shy? Blurry Pet Photos Can be Fun! As a pet portrait artist I often cringe when people send in pet photos for me to work from that are totally blurry and out of focus. I always want to see as much detail as possible so I can really capture their pet. With that said I will have to say that there are many occasions when a little blur can be a lot of fun in a pet photo. Blurry snaps can really get across that sense of action. The image above is one I shot in New York while moving. 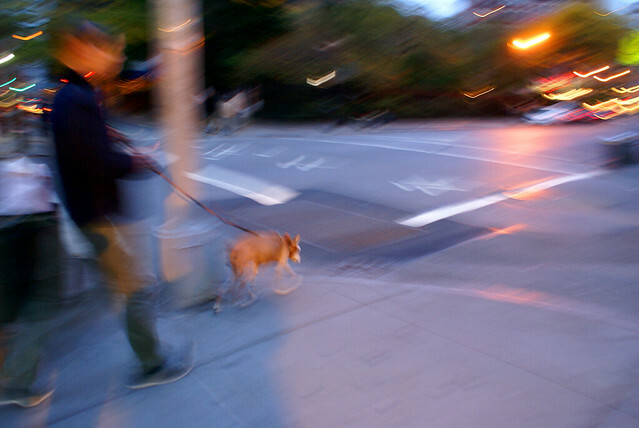 I was randomly shooting dogs on the street and this capture was a fun surprise. I love the little check marks of lights and the action under the feet, it really has the mood of New York to me. The image below is an old one I shot of Big Tommy. 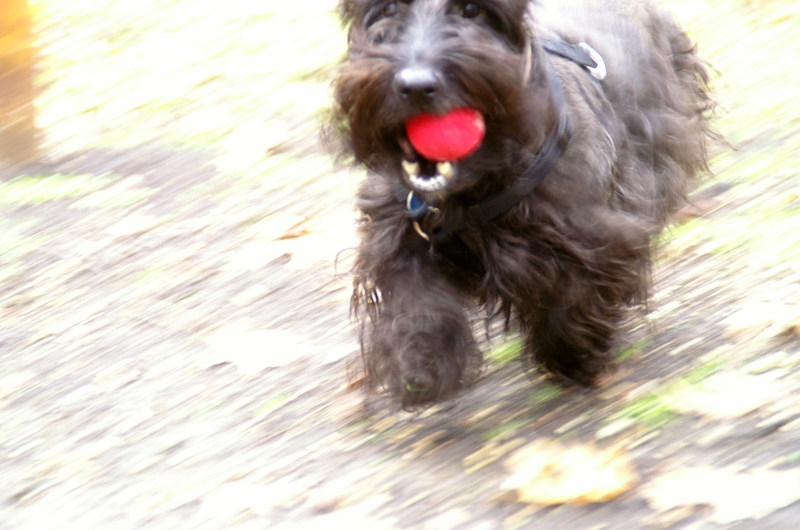 Not an award winning photograph by any means, but I love the blur in the grass, it really sums up Tommy with his ball.